 If you are having difficulty accessing the drop down menus, please clear your browser cache. If you need instructions, follow the steps on this website: Refresh your cache. To view Study Schedule use this link. 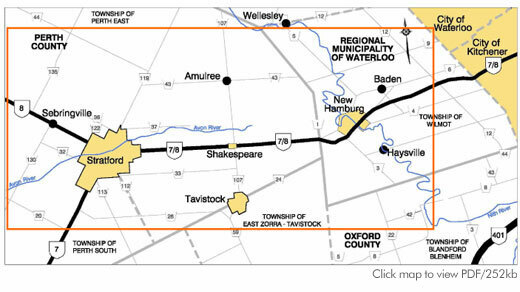 The Ministry of Transportation (MTO) is undertaking a Highway 7 and 8 Transportation Corridor Planning and Class Environmental Assessment (EA) Study, from Greater Stratford to the New Hamburg Area. linkage needs between the analysis area and other regions in the province. be documented in a Transportation Environmental Study Report for public review at study completion. be carried out as a Group 'A' project, in accordance with the Class Environmental Assessment for Provincial Transportation Facilities. newspaper notices announcing the above. For an overview of the study process click here (PDF/25 kb) . MTO has retained AECOM (formerly TSH) to provide professional consulting engineering services for this work. A Project Team consisting of MTO and AECOM staff will be responsible for the completion of the Study. This Web site has been established to provide project information and collect your comments on the Study. We encourage you to read through the site and send us your feedback. We will be updating this site with additional information, such as upcoming Public Meetings, as the Study progresses. Please check this site regularly for updates and details on how you can get involved. If you wish to be added to our mailing list or submit comments or questions, please go to the Contact Us section of the Web site. Site designed and maintained by AECOM Canada Ltd.